Making Christmas mince pies is a lot easier using the “slab pie” approach. Easy, vegan and gluten-free – a perfect treat to serve or give as a homemade gift. Oh, and an “everyday”, lower sugar tweak is given too. Christmas isn’t Christmas without mince pies. At least in the UK. Dating back to at least the 13th century these little hand pies, originally large, oval pastries filled with shredded meat (! ), suet (! ), warm spices and dried fruits, have been ever-popular – despite occasional sectarian condemnation throughout British history. In post-reformation England, ‘Christmas Pyes’ were seen as an “Invention of the Scarlet Whore of Babylon, an Hodge-Podge of Superstition, Popery, the Devil and all his Works”. Happily most have a jollier view of these festive treats. A tray of warm-from-the-oven mince pies is sure to draw in anyone within sniffing distance. Mostly we indulge in supermarket-made mince pies, but how much nicer to gobble down a burstingly juicy homemade one? Or two? A larger version of my Christmas Mince Slab Pie – perfect for parties! Not all of us have time to make everything from scratch. I’ve only made my own mincemeat filling once – a happy labour of love – but I do make my own pastry. The great thing about making your own – whether wholly by your own fair hands or with help from a jar or packet – is you control the amount of filling and density of pastry. Mince pies are such a big deal that Good Housekeeping, Which? and newspaper guides rate and slate each years’ supermarket and brand offerings: The Independent gives their run down of best of 2016 mince pies. But if you’ve a mind for something a little bit different but still mega easy, today’s recipe is for you. I am really rubbish at rolling pastry so my press it in the pan approach is perfect for me. The rest of the mix I crumble over top: no cutting out tiny, fiddly stars – I leave that to the experts. These won’t completely replace having a box of ready to eat mince pies tucked away in case of that feared yuletide emergency – the unexpected visitor – but with only the slightest of forethought nearly homemade mince pies are at your fingertips. If you wish, press blobs of the pastry mix into oiled muffin tin holes for a proper mince pie look, and crumble a bit more over the filling. But for ease I really recommend this “slab pie” approach. It’s definitely easier! Making Christmas mince pies is a lot easier using the “slab pie” approach. Instead of rolling out fiddly pastry and worrying about exploding pies, press this spiced crumble dough into a pan, top with mince pie filling and crumble over more fragrant dough (it really is more crumble mixture than dough though). Easy, vegan and gluten-free – a perfect treat to serve or give as a homemade gift. I’ve made quite a few batches for work, tweaking the spicing along the way. I think this is about right. Oh, and an “everyday”, lower sugar tweak is also given, for lunch boxes and healthier sweet snacking. 300g prepared mincemeat or homemade (see header note) – it’s pretty dense stuff, hence the heavy weight! 1. Preheat the oven to 160C fan/180C/350F. 2. Blitz the oats to a fine flour – my Froothie Optimum 9400 makes uniformly fine flour out of pretty much anything, but most good blenders will work for this. Pop the flour into a medium sized mixing bowl, along with the spices, and dry whisk to distribute the spices. 3. Melt the oil or butter with the maple syrup or honey and add to the flour. Mix well. 4. Line a square baking tin with parchment paper. I like to crumple it well and shape it into the pan. Press in just over one third of the mixture into the pan to evenly line it. 5. Using the coarse side of a grater, grate the apple – its skin too – into a separate bowl and stir in the mincemeat. Spread this over the pressed crumble mixture. Crumble over the remaining mixture, allowing some mincemeat to peep through if you like. Sprinkle over the almonds if using. 6. Bake in the oven for 30 minutes, until golden and bubbling. Let the pie cool for about 15 minutes then score into even pieces. Let it cool a bit more then cut completely through for eating now or storing in lidded container. Yummy with a cup of tea! Lower sugar option: Use 5 tablespoons mincemeat and two large eating apples in the filling, and 70ml coconut oil and 50ml syrup in the dough. Bake for about 10 minutes longer because of the higher water content. 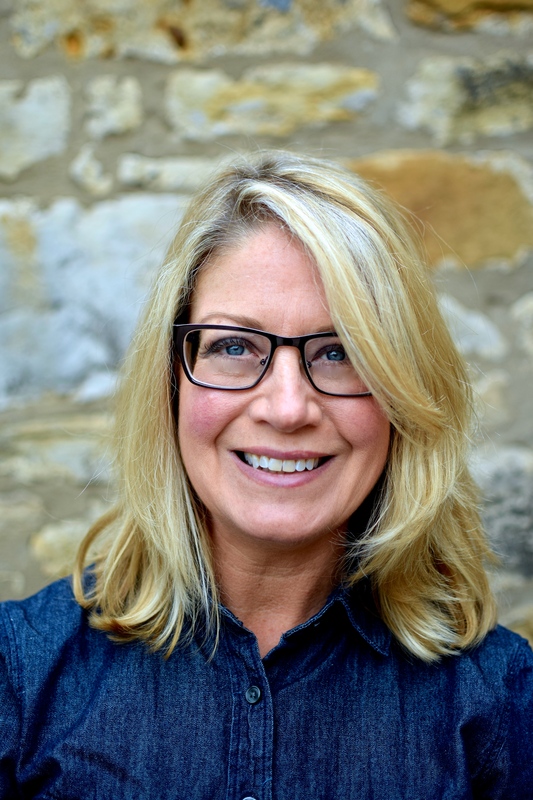 Kelly, this looks fantastic & I can’t wait to try it! I have the hardest time getting the print function to work for me…I’ll have to get a screen shot on my ipad. Thanks for sharing! These look like my kind of mince pies! I’ll definitely be giving these a go! great recipe! looks amazing. am definitely going to try this out next time I have a little extra time on my hands, thank you! 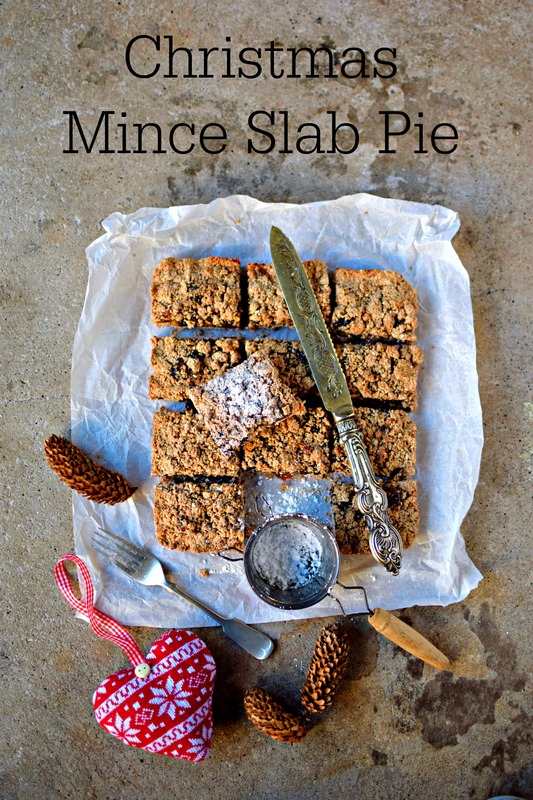 LOVE a twist on a mince pie and these are gorgeous… who would LOVE a slab of mince pie! What a creative dish. I know my family would love it. Great photos too! Oh I love mincemeat and this looks amazing! Can’t wait to try it. This looks tasty and so simple! Great! Tried this as soon as I spotted the recipe as I had a large container of mincemeat in the fridge. A superb recipe. So quick and easy. I added flaked almonds to the top and we loved it. What a great idea! I make a similar ish slab with dates but I LOVE the idea of making it Christmassy with mincemeat, thats perfect! Thank you for that, I will definitely be making these little beauts. Did mince pies really used to contain meat?! How bizarre how things change. This slab pie looks perfect for me – much less fussy than making individual little tarts! Love this flapjack-come-tart-come-pie! Such beautiful textures and flavours. Wish I lived closer!!! This sounds amazing. I love that you whizzed up the oats into flour to make a finer dough than crumble. Love that it is vegan too, I must make it for Graham. This is absolutely brilliant Kellie, I love bakes like this at Christmas. You’ve been so inventive with the ingredients and as usual the styling and photography is just gorgeous!!!!! These look divine Kellie, and such a clever shortcut. There always seem to be unexpected guests over the festive season, so I’m going to pin this to my list of things to make in advance! I love this idea so much! Who has time for all those fiddly little tarts anyways? I forgot to pick up mincemeat when I was in London recently, but am filing this away (and pinning!) for next year. Is this ok for colostomies ?